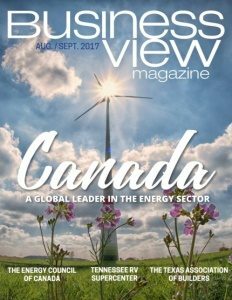 Business View Magazine interviews Dave Burgess, City Manager of Wetaskiwin, Alberta as part of our focus on Sustainable Canadian Cities. Hundreds of years before settlers arrived, the land now known as the City of Wetaskiwin was home to the Plains Cree peoples. Legend has it, the peace pipe was smoked ‘accidentally’ there, by two young Chiefs whose tribes were at war. The name “Wetaskiwin” is Cree for “the hills where peace was made.” Indeed, the community today is a peaceful, welcoming haven in the midst of western Canada. 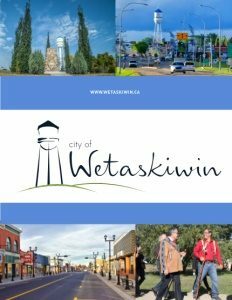 Founded in 1892, Wetaskiwin is one of Alberta’s oldest cities. The community grew quickly to become a town in 1902 and a city in 1906. While treasuring its past through restoration of historic landmarks and development of its museums, the city has a keen focus on progressive growth and sustainability. Many impressive initiatives have taken place on the green sustainability front. Wetaskiwin’s new City Hall, a former provincial courthouse built in 1907, was renovated in 2005 with a geothermal energy system for heating and cooling. The Drill Hall building is powered by 108 solar photovoltaic (PV) panels from NuEnergy, a leading Alberta supplier of renewable energy products. Excess energy is fed back into the grid. An additional 30 solar panels on the Manluk Aquatic Centre help heat the training pool. All city street lights are LED, city council activities are paperless, there is an electric vehicle charging station, and fiber optic cable is available to 90 percent of homes and businesses. A three-component Environmental Sustainability Program promotes development while encouraging environmental stewardship. The program includes a Low Flow Toilet Rebate; a Solar Panel Rebate; and a Green Building Rebate that offers builders or homeowners who build to a Built Green, R2000, or LEED standard a full rebate of the development fee. Wetaskiwin investment in infrastructure upgrades, as part of the ambitious Main Street Revitalization Project, includes a roundabout and Jubilee Park, with an amphitheatre for community events. There is also a state-of-the-art recreation facility, the Manluk Centre: Wetaskiwin Regional Aquatics and Fitness, and the Regional Fire Training Facility. The City Hall revamp was beautifully done to respect its heritage, while adding functionality to the whole building. Original jail cells in the basement are popular with visitors who come through on sightseeing tours. Even the old caretaker’s suite has been kept as a mini-museum. One of the city’s largest employers is the Wetaskiwin Hospital and Care Centre – an 83-bed facility with a plethora of amenities, including dialysis treatments, and a STARS helipad for emergency service. Transportation-wise, a very active CP Rail freight line runs directly through the city. And Highway 2, the second busiest highway in Canada, is only 9 miles away. Running between Calgary and Edmonton, it’s a beneficial supply line connecting Wetaskiwin to major centres and services, as well as bringing tourists into the city to visit the renowned Reynolds Alberta Museum. The museum houses antique aircraft, automobiles, equipment, motorcycles, and recently received approval from the province for a $40 million expansion. Just ‘over the field’, the Canadian Aviation Hall of Fame draws people from across Canada and beyond. Wetaskiwin has new master plans in the works for industrial and residential development, as well as downtown expansion/enhancement. However, a municipal election, less than three months away, could determine the course taken with those strategic plans.